Of course this was endorsed by Obama. Do you recall Van Jones, formerly Obama's "Green Jobs Czar" ranting to a like-minded crowd and speaking of American Indians, "Give them the wealth, give them the wealth!! "?- W.E. Reason one million (I exaggerate, but just a tad) for the United States to withdraw from the United Nations is the UN’s increasing interference in property rights, of both nations and individuals. The most recent example of this involves the Native American tribes of the United States. 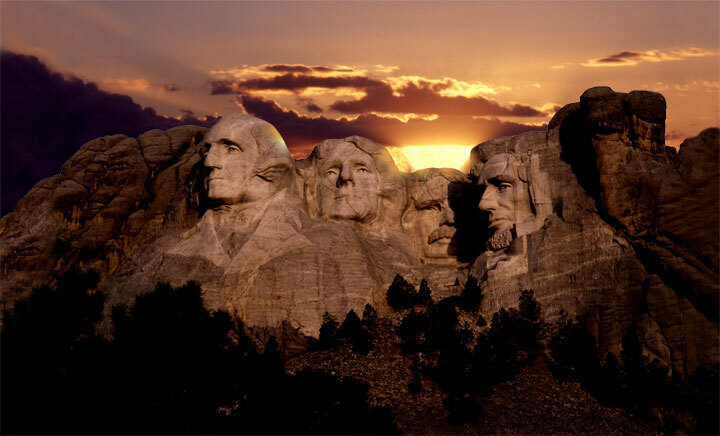 According to the United Nations, the United States government should return Mt. Rushmore to the Native American tribes. Mt. Rushmore Site Should Be Returned To Indigenous Native American Tribes, U.N. Official Says.… James Anaya, a U.N. special rapporteur on the rights of indigenous people, completed a fact-finding mission on Friday that included meetings with a number of Native American tribal leaders as well as White House officials. His investigation led him to suggest that the United States take additional steps to repair the nation’s legacy of oppression against Native Americans. He’ll officially propose the plan in an upcoming report. To this end, the UN has sought a rather gradual approach to eliminating property rights. In 2005, for example, it marginalized the Peace of Westphalia, a 300-year-old collection of treaties that ended the Thirty Years War and provided sovereignty to the nations within the Holy Roman Empire, allotting them freedom from outside control. The United Nations virtually replaced the Peace of Westphalia with the Responsibility to Protect doctrine, which mandates that the UN can intervene in countries' affairs <and that> has been used by both NATO and the United States to launch attacks. It has been noted that the Peace of Westphalia actually came to an end when the UN approved R2P, the "Responsibility to Protect" doctrine. This mandate is based on the idea that states have a primary role to play in shielding their populations from genocide. If the state abdicates this role, the "international community" should provide additional resources from mediation to political structures. Finally, if genocide is still threatened, the larger community must use diplomatic and even military action to ensure that civilians are safe. With this doctrine in place no sovereign state can truly be said to exist anymore. In the place of sovereignty is the UN itself and its member states with amorphous responsibilities to police each other's sociopolitical activities with an eye to determining whether any state is committing actionable genocide. Agenda 21 has impacted Americans in cities across the nation. Landowners in Houston County, Minnesota, for example, are fighting for the rights to their land against a County Commissioner who has called the Constitution an “old document.” The struggle is over updates to the Land Use Plan brought on by the United Nations’ Agenda 21. In 2007, a newlywed couple was sued by Houston County, enforcing the new Land Use Plan after the couple legally purchased a home. They were given just four options to “settle the situation.” They could either move their house 50 feet, purchase another 32 acres of land, sell their property to a neighbor, or simply tear the whole house down. Instead, the couple opted to appeal the ruling in the Minnesota Supreme Court, which refused to even hear their case, forcing them to ultimately sell their property. The UN’s focus on indigenous rights is just another layer being added to the anti-property rights agenda that the UN has embraced. The goal seems to be to destabilize the concept of rights by creating friction between the indigenous tribal peoples and other citizens in the hope of being able to exploit a politically correct view of rights to undermine private property rights. This year’s Permanent Forum will also cover the rights of Indigenous peoples to food and food security; the World Conference on Indigenous Peoples, which will be held in 2014 by the 65th General Assembly of the UN to share perspectives and best practices on the realization of indigenous peoples’ rights; a discussion of UNDRIP; and a dialogue with the UN Special Rapporteur on the rights of Indigenous peoples, James Anaya, and the Expert Mechanism on the Rights of Indigenous Peoples. Even if Americans agree that indigenous groups are entitled to land that was once taken from them, which would logically include most of the landmass of the United States, the United Nations should certainly not be involved in such a debate.